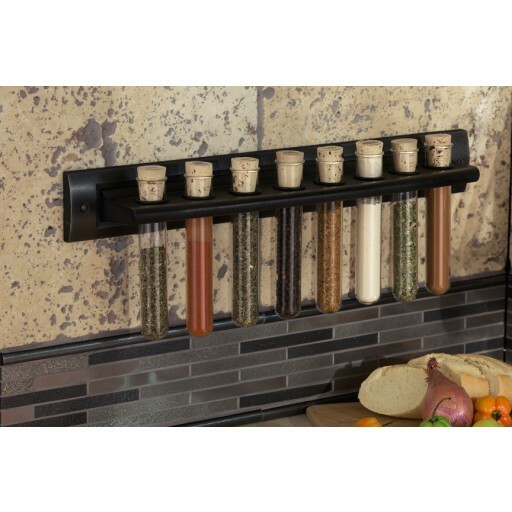 This cast-metal spice rack displays your vibrant spice collection against a silvery-black wrought iron finish for a dynamic kitchen accent. 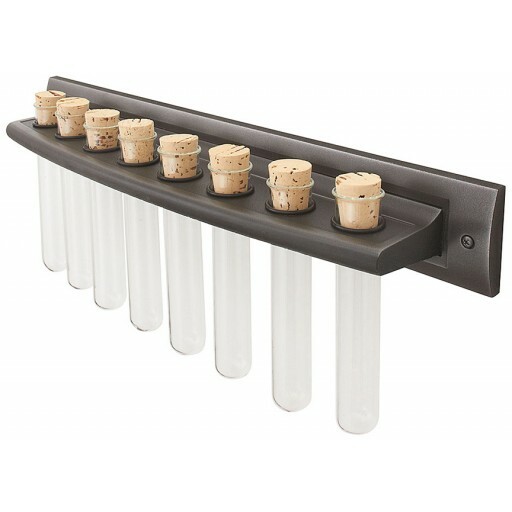 Eight slender, corked glass cylinders are included, along with O-rings to hold them securely in place and 72 common spice labels. 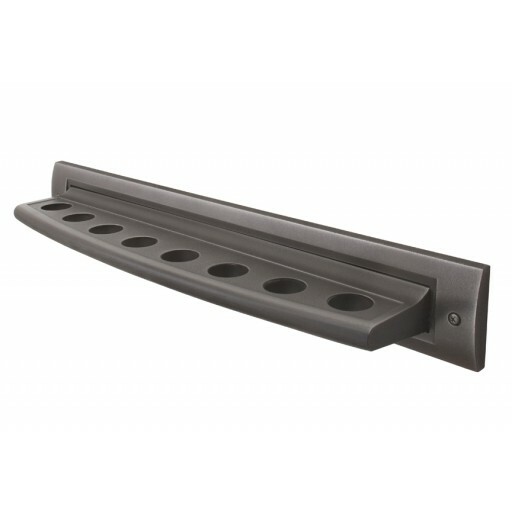 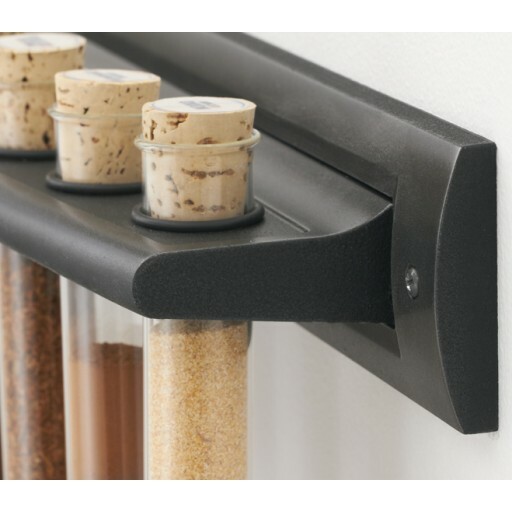 This wrought iron spice rack mounts easily to any wall surface using only two screws.